Nov. 15 – a day many consider a holiday. Even those who don’t personally observe the opening day of deer season can have something to be thankful for. Not only can they count on family, friends and co-workers skipping work to seek white-tailed deer in Michigan’s woods and fields, but they can also look forward to the conservation benefits hunting provides statewide. In fact, there is more to hunting than people may realize. 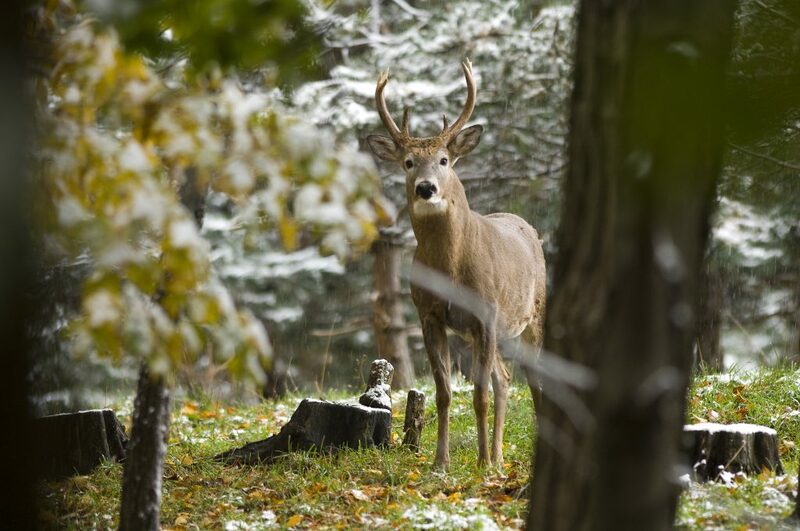 Established in 2013, the Michigan Wildlife Council is dedicated to building awareness about the importance of wildlife management and conservation – and what is required to ensure that Michigan’s great outdoors can be enjoyed for generations to come. There is a rich history behind the modern, scientifically based conservation and wildlife management practices that serve the state so well, Pedigo said. In the 1800s, as the United States continued to expand westward, many prime wildlife habitats were overtaken, and species such as elk, black bear and white-tailed deer teetered on the brink of extinction. But, over one hundred years ago, hunters and fishermen were among the first to push for regulated hunting seasons and protection of wildlife habitats. They understood that it would require active management and conservation to ensure wildlife would be abundant forever in a growing America. “Really, it’s entirely accurate to consider hunters and fishermen as the original conservationists,” Pedigo said. As a result of these protections and regulations, populations of elk, wild turkey, white-tailed deer, pheasant and many others rebounded and continued to grow as their habitats were protected and actively improved to meet their needs. To this day, hunters and fishermen remain committed to wildlife conservation. Volunteers from nonprofit organizations such as Trout Unlimited, Pheasants Forever, the Rocky Mountain Elk Foundation and the National Wild Turkey Federation often perform on-the-ground habitat enhancements. 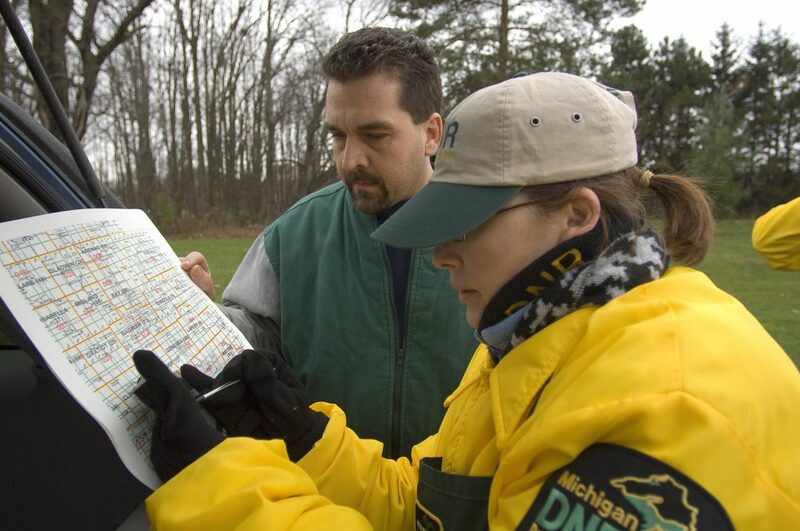 These organizations and many more frequently partner with public agencies such as the Michigan Department of Natural Resources (DNR) to tackle the complex task of managing Michigan’s wildlife. While it’s easy to think that wildlife and nature take care of themselves, there is actually a lot of work done to ensure Michigan’s species, woods and waters continue to thrive. Science-based management includes tracking wildlife population numbers, preventing the spread of diseases, improving habitats for the right balance of food and cover, regulated hunting seasons to keep wildlife populations in balance with their habitat, and restoration efforts to help wildlife species in decline. The Michigan DNR – the agency with primary responsibility for conserving our state’s wildlife – takes numerous considerations into account, including the public’s needs and desires, and changes in the natural environment when planning its wildlife management work. Under the close management of the Michigan DNR’s Wildlife Division, the state has established 111 wildlife management areas. These areas are often operated using the money generated from hunting and fishing licenses. Through state game areas, 360,000 acres have been set aside for scientific wildlife species management, habitat management and public use. While these areas often allow regulated hunting within established seasons, other activities include hiking, bird watching, photography, blueberry- and mushroom-picking, and wildlife viewing. 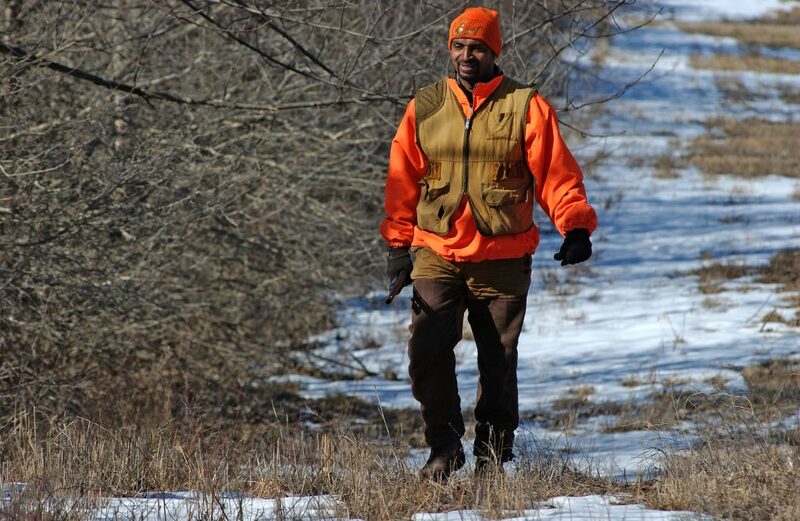 “While hunters and fishermen are the primary funders of wildlife management and conservation in Michigan, everyone can benefit from this critical work,” Pedigo said. The management areas are essential to the sustainability of our state’s wildlife and natural resources. Whether it contains rare ecosystems or provides cover for rare animal species, each area is carefully managed through scientific plans put in place by the DNR. “With wildlife management areas scattered across the state and numerous wildlife conservation projects taking place every day, a natural question to ask is, ‘Who is paying for this work?’” Pedigo said. The answer: The bulk of wildlife management projects are funded through the purchase of hunting and fishing licenses and equipment, not state taxes. The money raised is put into improving habitats and helping wildlife species. The Michigan DNR pays for numerous projects, which take many forms and occur all over the state, giving everyone a chance to benefit. Examples include enhancement of large grassland areas, creating winter cover and food sources for a variety of species, and creating wildlife openings and brush piles to cater to small game such as squirrels and rabbits. Last year, the DNR approved funding for 18 Wildlife Habitat Grant Program projects totaling $910,000. This included over $340,000 in grant money for projects in the Southeast Michigan region – projects such as native grassland restoration, native wildflower planting and mast tree planting. Money is regularly provided to conservation partners to assist the DNR with developing or improving habitat for game species, fish and other aquatic populations by protecting and rehabilitating degraded habitat. Partners vary from volunteer nonprofit conservation organizations to local municipalities, and typically match funds, provide donated equipment or organize conservation volunteers. All told, hunters generate $2.3 billion annually for the state of Michigan – through licenses and equipment purchases, trip-related expenses, state and local taxes and more. Plus, hunting specifically supports 34,4000 jobs in both rural and urban communities. Beyond financial contributions, hunters aid their communities in other ways. For instance, Michigan Sportsmen Against Hunger coordinates donations of harvested wild game to local food banks across the state. Annually, the group facilitates the donation of approximately 25,000 pounds of processed venison – which is the equivalent of 125,000 high-protein meals.